Fossils are the preserved remains or traces of animals and plants that lived in the remote past. These traces give valuable information about organisms inhabiting the planet over history, like dinosaurs. 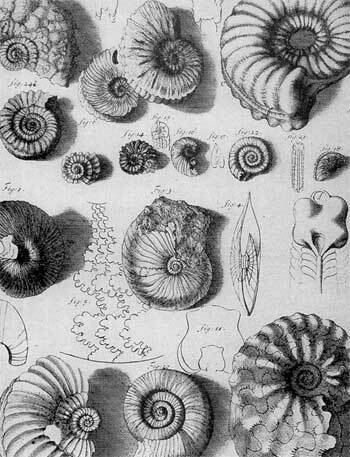 By studying fossils we can learn about how the animals and plants evolved over time, as well as how the surface of earth has changed. Naturally occurring fossils are formed when the living organisms, plants and animals, get buried in sediment after death. However, you can also make artificial fossils at home or school for presentations or showing students how actual fossils are. Making fossils at home or school is not only easy, but fun and addictive and the kids would love it. Making your own fossils is definitely more easier and quicker than waiting for millions of years for a real one. In a medium size mixing bowl, combine the plaster of Paris with water in a 1 to 2 ratio, which is one part of plaster of Paris to two parts of water. Using a plastic spoon, thoroughly mix the plaster and water. Knead the modelling clay well until it is soft and pliable. Coat the sea shell with petroleum jelly and press it firmly into the kneaded clay, so that it leaves an impression in the clay. Petroleum jelly should be enough to prevent the shell from sticking to the clay. Carefully remove the sea shell so that it leaves behind a mould in the modelling clay. Fill the mould created in the clay with plaster of Paris. Smooth the plaster using fingers of your hands or a flat plastic spatula, to form a flat surface. Place the clay mould containing wet plaster on paper towel or newspaper and set it aside to harden at least overnight. It would be better to leave the plaster for two to three days. After the plaster of Paris has dried completely, free the fossil by carefully peeling the clay away from it. Your homemade fossil is ready. Digital Scrapbooking: What Exactly is It?